SOX (SOCCSKSARGEN Region) never fails to amaze its countless visitors with the most colorful festivities and events sure to delight you with glimpses into the people’s heritage and traditions. Here’s a list of 10 festivals in SOX we recommend that you should not miss this year! Hinugyaw Festival is a week long celebration of the Foundation Anniversary of the City of Koronadal, the capital of the Province of South Cotabato and administrative center of Region 12 or SOCCSKSARGEN. The celebration is a colorful merry-making depicting the evolution of the distinct cultures of Blaans who are considered the first settlers in the area, the Maguindanao, and Christians. Major activities during Hinugyaw Festival includes the Drumline Competition, the search for Lakambini ng Koronadal and the much anticipated Pyesta Kolon D'tal – a mix of street dancing, mardi gras and float competitions. Seslong Festival is another must-see annual event held every month of March in the Municipality of Tboli, Province of South Cotabato. It is a celebration that portrays the gathering of people in a certain place for various socio-cultural activities such as exchange of goods, merry-making and many others. 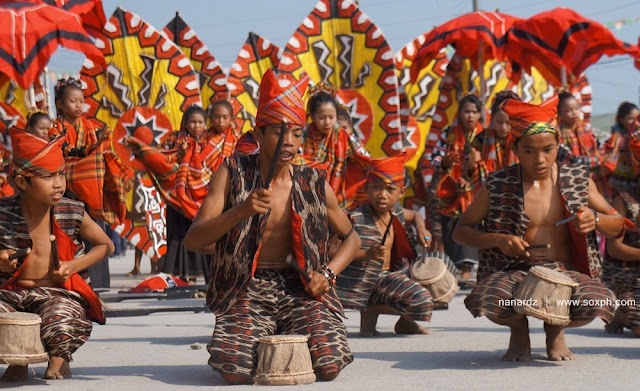 Major events during Seslong Festival includes the colorful street dancing competition which showcases the rich culture of the Tbolis and Blaans in the area and the pilgrimage to Lake Holon, one of the town's major tourist attractions. Considered as the biggest beach party in the country, Sarangani Bay Festival o simply Sarbay Fest is everybody's must-attend event this year. Thousands of tourists - locals and foreigners flocked to Gumasa beach in Glan to enjoy outdoor sports activities including boat race, skimboarding, beach football and volleyball, frisbee, sepak takraw, beach fair, sand sculpture competition, Bay Bodies Bikini Open, summer night beach party, fun bike ride, and cheer dancing competition. Highlight of Sarbay Fest is the sundown to sun up concert by the bay with the country's top bands and celebrities. The Tnalak Festival is the biggest and most colorful celebration held every year in Province of South Cotabato. The colorful street dancing competition which showcases the rich culture and traditions of all the tribes in South Cotabato (lumads, Christians, Muslims) is the main highlight of the week-long celebration. Expect a bigger celebration this year, as the province commemorates its 50th Foundation Anniversary. Kalivungan Festival is a week-long celebration highlighting cultural presentation, ethnic dances, rituals, music and native games showcasing the unique cultures and traditions of Cotabateños. 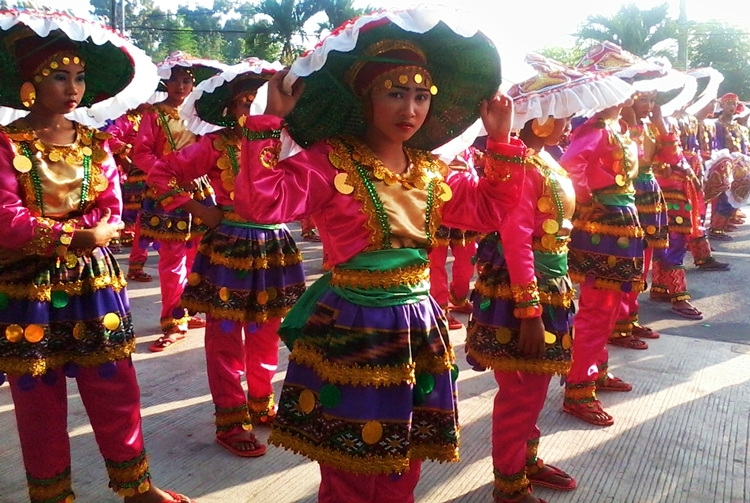 The celebration which is considered as the "festival of festivals" in the Province of Cotabato is highlighted by street dancing competition participated by contingents coming from all over Mindanao and from different towns of the province. Talakudong Festival is another highly anticipated annual event in SOCCSKSARGEN region. It is celebration highlighting Tacurong City's most prized symbol- the Kudong, a head covering worn by its early settlers. The town of Esperanza in Sultan Kudarat celebrates Hinabyog Festival every second week of November also to commemorate the town's founding anniversary. The street dancing competition and showdown participated by different schools in Esperanza is a must-see. Helobung Festival is Lake Sebu's most anticipated and well-attended festival in celebration of the rich culture and traditions of the people particularly of the Tboli tribe and is also a thanksgiving for a bountiful harvest. Must-see activities include the traditional horse fight, traditional music and dance presentations and the street dancing and parade which has participants dressed in traditional Tboli costumes. Shariff Kabunsuan Festival is another colorful festival celebrating the arrival of Shariff Kabunsuan via Rio Grande de Mindanao in Cotabato City to introduce Islam. Must-see activities are the Kuyog street dancing competition and the colorful Guinakit fluvial parade at Rio Grande de Mindanao re-enacting the arrival of Shariff Kabunsuan.